Analog or digital? That’s a loaded question. 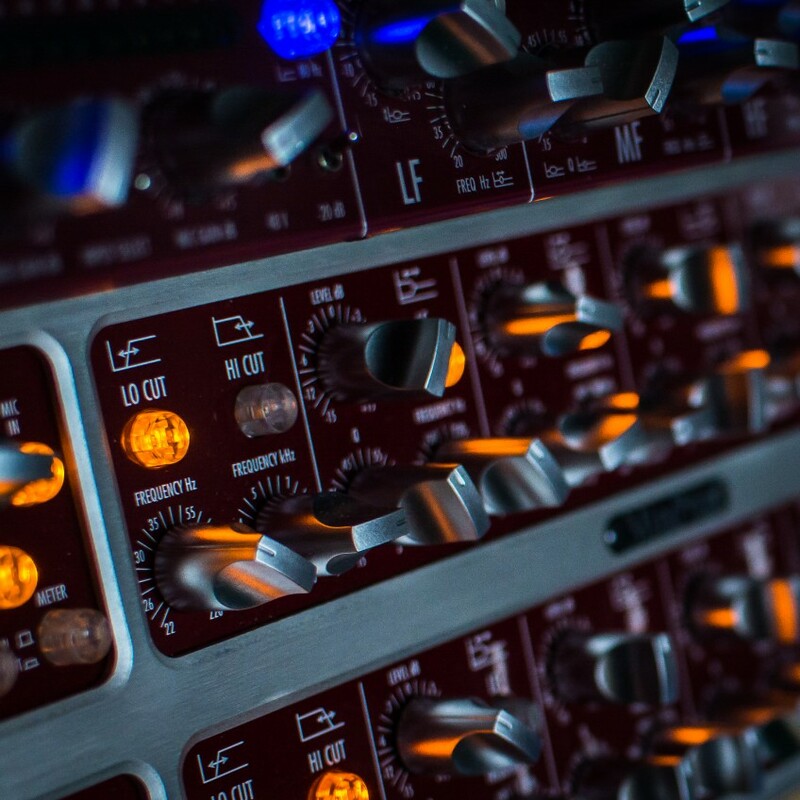 Digital technology invaded the music world in the 1980s, and has been gaining ground ever since, occupying more and more of the territory once ruled by analog gear. It also opened a bit of a rift between musicians. On one side, we have the codified beliefs of the orthodox crowd who never stray from the one true faith. They’ll go to meet their maker chanting ‘analog über alles’ to the tune of Amazing Grace. On the other side, we have the apostates who have sworn off the old-school way of varying voltage and current at a continuous rate and now worship at an altar where signals are sliced and diced into ones and zeros. Many keyboardists will fondly recall a groovy little piece of gear that Yamaha dubbed the DX7. Here, finally, was an affordable piano sound that would work in a band context. Thus the seeds of the Great Schism were sown, and the ensuing strife between the extremists in the two camps still simmers away. Today, digitalists revel in the glory of an all but inexhaustible treasure-trove of unprecedented sound-sculpting possibilities, while analogists smile knowingly, pitying the poor misguided fools who succumb to the charms of such cheap thrills. Purism is all well and good, but most people on both sides of the chasm know that gear, be it analog or digital, is merely a means for making music. Many analogists make liberal use of the MP3 format, DAWs and plugins. And many digitalists will crawl through a lion’s den wearing nothing but a pork-chop loincloth to get their hands on a top-flight tube amp when it’s crunch time in their high-tech digital studio. In this grey area, pragmatism rules. Whatever works and happens to be handy goes. And yet the black-versus-white argument about the essence of tone rages on. Some guitarists wake up one day and swap out all their old analog equipment for modelers. Those digi-dudes and dames never look back. Then there are those who will never change a working system until the grim reaper calls, clinging to their pre-war technology even as the undertaker gently pries that cherished tube from their fingers. Does good tone even care how it’s made? So, who’s right? Can something as intangible as the quality of tone even be quantified? Does analog really sound that much better? The new acquisition that had melted his mind was powered not by a set of toasty tubes, but by chilly computer chips. The miracle-working box’s retro styling lent it a charming vintage touch, but with the right programming the digital technology inside could just as well be the engine of a PlayStation, sequencer or a defeat device designed to put one over on those pesky automotive emissions testers. Maybe. In any event, what I’m getting at is that his modeler is nothing more than a special-purpose computer. All-in-one music making machine, or just a special-purpose computer? The choice, of course, is yours! Do you really need all those new sounds? This insight in no way diminished the missionary zeal with which he sought to whip analog heathens onto the path of digital righteousness. “Get a load of all the many sound-shaping options…” Although he had relied on the same three fundamental flavors for years, he was suddenly in love with the notion of boundless opportunities to spice up his signal, no matter how useful these exotic seasonings may prove to be. Then something unexpected happened when he played his first gig with that digital amp. 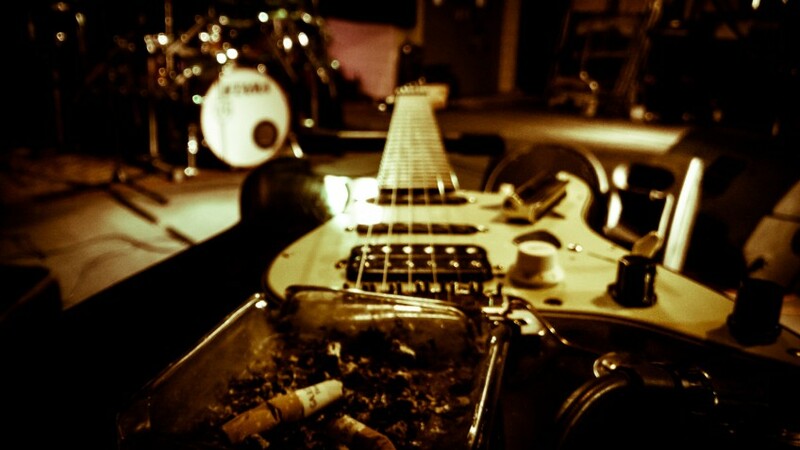 It was the same old rock ‘n’ roll fare; his tone sounded much like it always did. Perhaps the tech manning the desk was just having an off day. At any rate, there wasn’t anything unprecedented in my colleague’s guitar sound, and certainly no revolutionary colors and textures. A neuroscientist might suggest that GAS (gear or guitar acquisition syndrome) is an expression of our deep-seated need to prove our social worth by getting lots goodies to show off. Perhaps. Or maybe a new toy every now and then just makes us happy (read this to find out why that is!). This, clearly, was one deliriously happy consumer. And in my book that’s totally legit, because the pursuit of happiness comes right after life and liberty in the list of unalienable rights. And that’s the crux of this ideological divide: traditionalists say the only thing that sounds and feels exactly like an old Stratocaster, a tube amp on the verge of breaking up, a threadbare Ludwig snare, or a wailing Hammond is a choice old Strat, tube amp, Ludwig snare or Hammond, respectively. The analog camp’s arguments seem irrefutable, so why even bother with digital? Every day we reach for little digital assistants that help us surmount the obstacles of everyday life. They steer us through unfamiliar terrain, connect us to the rest of the world in real time, and entertain us in myriad ways. They monitor, manage, control and compute things for us, and whisk us away into weird and wonderful worlds. They’re pacifiers for big babies: they becalm us whenever and wherever we’re bored, annoyed or just crave a little distraction. Our trusty digital devices serve us swiftly and tirelessly, and at astonishingly low cost. However, there are limits to what they can do, and the biggest is their inability to provide haptic feedback. Mainstream digital technology doesn’t have the power to convey tactile sensations, that sense of touch we’ll call the human factor. Many critics of digital gear lament the technology’s failure to replicate the true tonal authenticity and genuine ‘feel’ of the analog originals they’re replicating. Musicians, of course, are acutely aware of this shortcoming. Although some may have been dragged into the digital era kicking and screaming, even 50-something musicians born in the analog age have made the transition. Many can still recall their first experience with the revolutionary technology. Shocked disbelief often gave way to disillusionment. The clarity and sharpness of these sonic images was overwhelming, but after prolonged listening they began to strike some as cold and artificial. Digital technology has made huge strides since; today it comes very close to capturing the authenticity and vitality of natural audio events. Still, though, the real thing is hard to beat and is often the better choice, not only for fans of the analog experience. While it makes sense to go digital for reason of convenience, for example, when fiddling with complex arrangements on a DAW or using samplers to capture natural sounds with negligible effort, there are still countless examples where analog technology is still the better alternative. Chances are that a real grand piano, a good mic setup, and savvy engineer will yield more satisfying results than a sample. So a digital simulation is not always the best choice; on the contrary, actually. 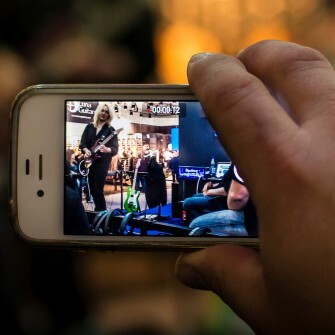 Very few guitarists need all of the many different sounds that digital devices can, in theory, provide. Most of us are content with a handful of variations on some great fundamental tones. And if we stop to consider how obsessive guitarists are about their tone and how heated the arguments over perceptions, preferences and the ‘personality’ of an instrument or amp can get, it’s all the more surprising how indiscriminately some make that transition from the tube to the chip. Some say much of the vintage craze is down to a desire to recapture one’s youth or own an icon of the past. If that’s true, perhaps then this is the reaction to that action: digital bling appeals because it’s so fresh and new. But enough conjecture; let’s check the facts. Give me a bit of depth here, though. What’s the story on the audio resolution? The story is this: it’s undisputed that the resolution of a digitally generated sound still does not compare to its analog counterpart. Again, digital signal processing means measuring every little nuance of a tone using a system of numbers. Usually it’s binary, consisting of two states 1 and 0. This system can’t handle values between the two, so something like 0.7 is rounded to the next higher value, 1, and 0.2 becomes 0. We’re talking about infinitesimal differences far to the right of the decimal point, but rounding errors inevitably accumulate as these minimal adjustments up and down accumulate. This is why there’s a certain ragged edge inherent in the DNA of digitized sounds. Digital fans, this is what your music looks like. Probably. The number of measuring or points in a given unit of time are determined by the system’s clock or sampling frequency. The more sampling points per unit of time, the more authentic the signal’s vibe will appear to be. Although you can put more interpolation points on the timeline to diminish the distance between points and get closer to the natural smoothness of an analog signal, you can’t quite ever truly replicate it because this would take an infinite number of sampling points spaced at infinitely short intervals. That, of course, would take an infinite amount of computing power, so the score on this account is 1 for Team Analog and 0 for Team Digital. Complex signals have a huge appetite for computing power. And the response of a tube amp on the verge of breaking up – that magical middle ground between squeaky clean and total meltdown where masters such as Hendrix dwelled – is very complex indeed. A nudge of the guitar’s volume knob, a tad heavier attack here, a lighter touch there: variables in the player and guitar’s actions piped into the amp’s input stage trigger countless reactions further down the signal chain, all the way to the speaker. Every action and reaction at each link in the chain has immediate consequences for neighboring components. The dynamics of the amp alone are ridiculously complex even without the player’s sensibilities, touch and taste factored into the equation. 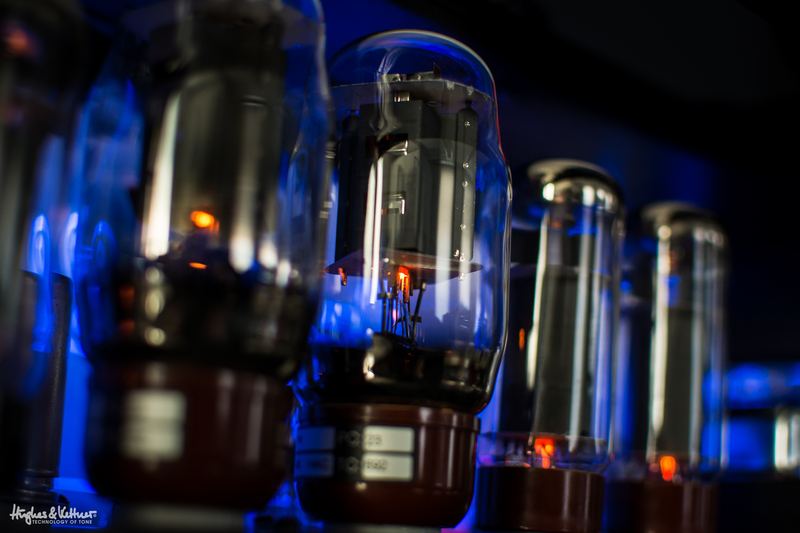 No two tubes are ever 100% alike, but it’s things like this that can help make their tone so magical to the ears! These dynamics are the lifeblood of the analog world, and many players feel that they invigorate their music. On this level, digital solutions seem tame be comparison. Like an old mare, they’ll plod away predictably, eventually getting you from point A to point B. But that mercurial tube amp will sweep you along on a wild ride that takes your art to a higher level of expression. 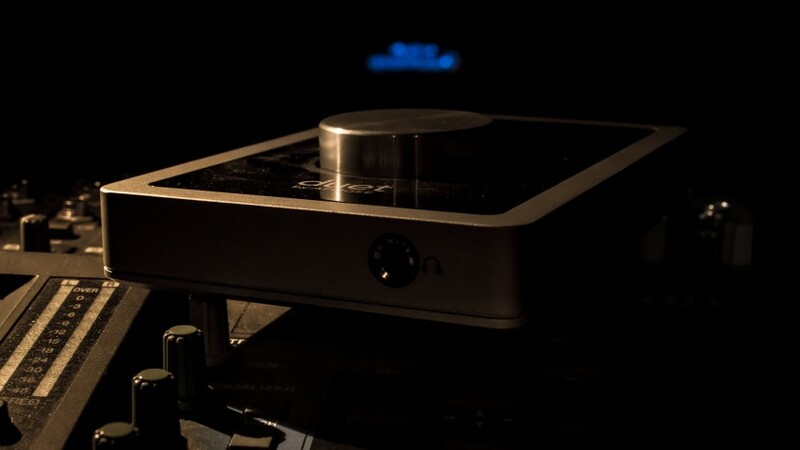 In a nutshell: an analog tube amp is alive and has a fingerprint of its own. The more complex a tone, the more computing power it takes to render it. The chip has to do more math, which takes longer and can result in latency (that’s the time the signal takes to run through the system). Most systems nip the problem in the bud by devoting less computing power to rendering sonic details. This relegates latency, one of the biggest killjoys in music alongside undesirable distortion and microphone-induced feedback, to the realm of the barely perceptible, but it also degrades the tone. If it’s a modeled sound, it won’t capture all the rich details that make the original so tasty. The dynamic response of state-of-the-art converters comes pretty close to matching natural sound dynamics. However, you’ll find high-performance converters like the acclaimed SHARC DSP only in high-end digital gear. Sometimes they generate code-transition and quantization noise that noise suppression systems then have to iron out, which means processing power has to be diverted to this end. This is one of the reasons why even cutting-edge systems approach but do not quite attain the dynamics of natural sounds. 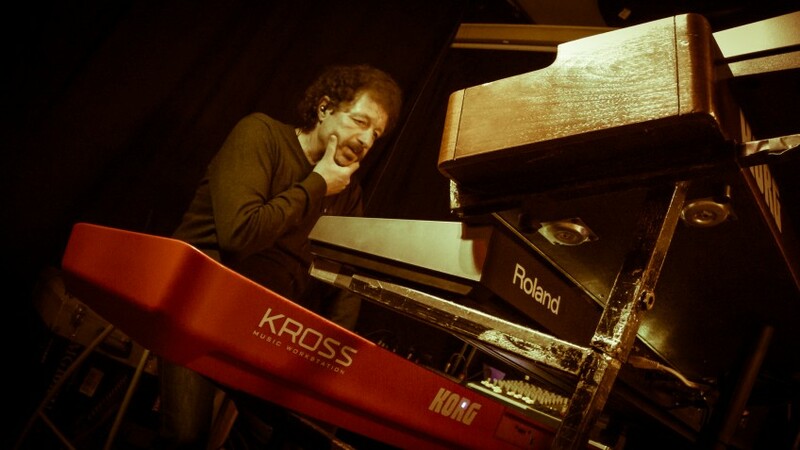 “It actually sounds like a real piano…” You may have heard or said something along these lines in the rehearsal room. Casual listeners will second that notion, but professional pianists will disagree vociferously. In the average consumer’s mind, this audio experience will be filed away under ‘piano sound’, while the professional pianist’s mind will reel at the suggestion that this cheapo ersatz is even remotely related to the glorious tone of his or her cherished Steinway. These vastly different impressions are, of course, informed by experience and exposure to the sound of the genuine article. This is why guitarists will generally abide an artificial piano sound, but heaven help you if you suggest the same treatment be applied to their cherished axes. And that’s to be expected. 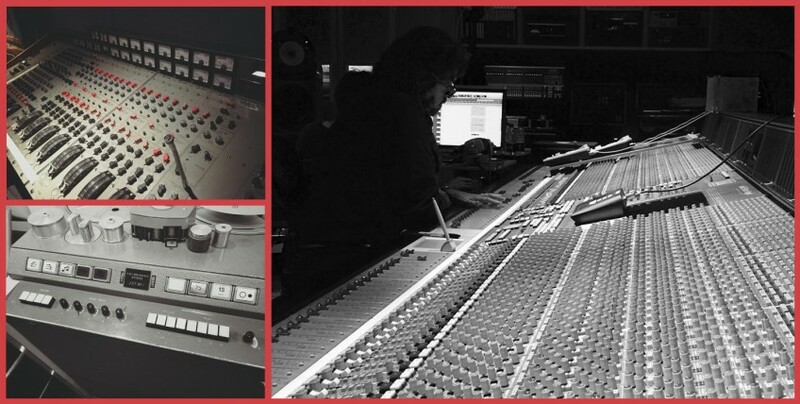 After all, some of us have worked at this for decades, decoding the DNA of spine-tingling tone and patiently putting together the puzzle pieces to craft a trademark sound. These guitarists know what they want and how to get it because those perfect electric guitar sounds have been burned forever into their hypothalami. All templates for the hallmark electric guitar sounds are 100% analog products. In food-speak, they’re the pure, premium, virgin, organic, cold-pressed, unrefined, grade A, native variety of tone; freshness and flavor guaranteed. If your ears have been weaned on the likes of Jimi Hendrix, Ritchie Blackmore, Angus Young, Carlos Santana, Stevie Ray Vaughan, David Gilmour or Eddie Van Halen, that exposure over years and decades is going to inform your tastes. Conditioning shapes our perceptions, which is why a young novice today may love a sound that a player who’s a little longer in the tooth may loath. Tone quality is such a subjective matter that categorical good/bad statements about a given sound really can’t be made in good conscience. There’s always the listener’s background and the musical context to consider. We can probably all agree that the better sound tends to yield better results, but then we might debate for days what that better sound might be. The aural triggers that get my mojo working are not probably not the same as those the float your boat. Forgive me for belaboring the obvious, but tone, like so many things, is a matter of taste. There’s a caveat, though: if we’re talking about modelers, then we have to note that there is no degree of comparison for the adjective ‘original’. And for good reason: a copy can be lots of things, but never more original than the original. So for me, the analog tool is clearly the better choice when crunch (no pun intended) time rolls around. Now here’s the flip side of that coin: although the sound quality of analog instruments mimicked by digital systems falls a tad short of the originals’, those systems can still serve you well in many areas. This goes for both making music with instruments and recording and producing tracks on a computer. Without digital technology, we wouldn’t have the wealth of home recording options we enjoy these days. With a little cash, anyone can set up a home studio, capture ideas on hard disk any time day or night, and come up with results that sound surprisingly professional. Even as late as the mid-1980s, a home recordist could never have added a men’s choir, brass ensemble, string quartet, or even just a good piano track to an arrangement with such phenomenal ease. 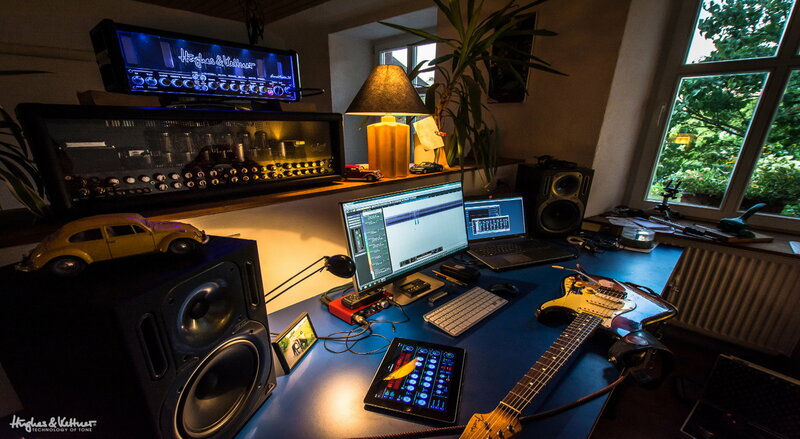 When it comes to making musicians’ working lives easier, the benefits of digital systems clearly outweigh their drawbacks. It’s never been so easy to put even the most extravagant ideas into practice. The quality of each sample may not quite match that of the original, but the mind boggles at the sheer quantity of possibilities. Besides, digital gear has become indispensable for many day-to-day recording tasks. It may not be the most magical means of making music, but it’s certainly the more predictable because component tolerances and their impact on tone is practically zilch, which can’t be said for quirky analog equipment. In this arena, the predictability and reliability of digital outcomes beats the elusive fairy dust potential of analog gear. However, this convenience comes at a cost. Digital systems impose a homogenizing effect that irons out some of that wonderful analog heterogeneity. So, what’s the bottom line? Analog or digital? Both have their raison d’être; one is more practical, the other more pleasing. But let me get off the fence and take a stand by turning the focus back to the players, the guys and gals who love to wallow in the exquisite mire that is rock ‘n’ roll. These people are of a mind that doesn’t dwell in the rigidly mapped-out world of 0s and 1s; they’re driven to explore the millions of unchartered points in between. We’re seekers, always looking for a bit more bark, a dab more dirt, a fraction more ferocity, a mite more mud, a smidgen softer or spongier tone. Consider the words we use to describe those countless nuances we aspire to achieve: lush, hot, sizzling, screaming, honking, growling, barking, chimey, jangly, ad infinitum. Analog Man and Analog Woman thrive on this magical diversity, and all those countless transitional points in between the numbers. This is why analog sound generation still reigns supreme for many of us, and I’m sure it will continue to do so for many tomorrows to come. Why I believe this to be so is easily explained: at the beginning and end of each such audio event is a human being, and there’s no better analog interface that that. First published: November 19 2015. Most recent update: February 16 2017. 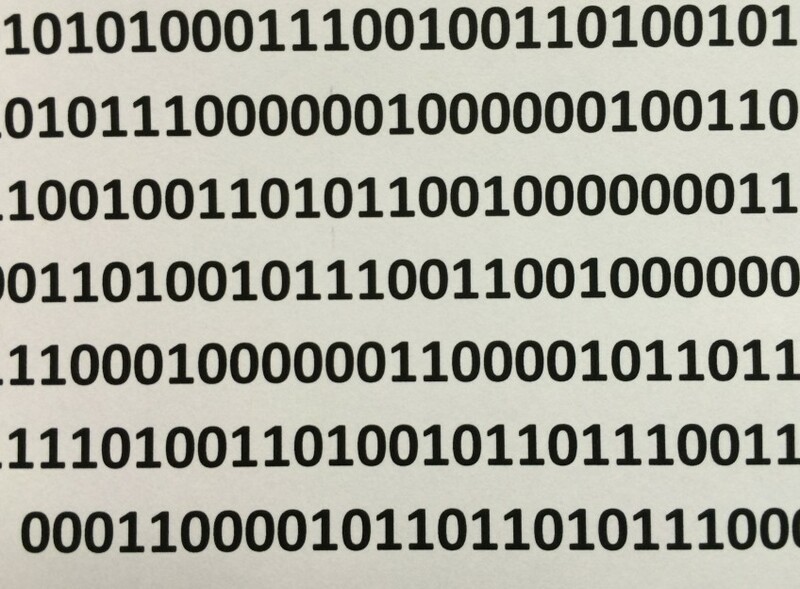 While not wanting to take sides in this discussion (which I find moot), some of the claims made in this article regarding the digital technology under the “Why digital can’t match analog: the truth about binary” show no shreds of any truth and I hope you won’t mind considering some kind of correction… to the very least. So let’ start from beginning, the ref whistles the beginning of the match. On one side is Serious Ignorance on Digital Audio, versus Basic Knowledge of Sampling Theorem. First of all, there is no such thing called “audio resolution”. Okay, there is… but actually there is not. Resolution mostle relates to images or video. In audio there are only bit depth (dynamic response) and sample rate (frequency response). Sometimes bit depth is thought of as “resolution”, sometimes both, but in essence audio resolution is misnomer because reduction in number of bits in audio does not have the same consequence as reduction in the image bit depth. So yeah, slight error which starts the game, Knowledge clumsily defends Ignorances fair attempt, result remains Ignorance 0 – Knowledge 0. What exactly is undisputed? Digital signal generation or processing? While I won’t get into digital signal generation and possible disputes in this area, the author seems to equate generation vs. processing, and to my knowledge, Sampling Theorem is certainly not matter of any dispute whatsoever. Ignorance scores back to back with confusing signal generation and signal processing. Immeditely after, the matter of Ignorance’s third goal the ref finds undisputed, much to Knowledges dismay. For correct definition of binary Knowledge however slips one in. Ignorance 3 – Knowledge 1. Yes, there is rounding, no, there is no accumulation of any kind (Ignorance accumulates 4 – Knowledge rounds up to 2). Period. Have a drink. What is described above is called quantization and quantization errors are inherenent to the digital sampling for reasons described in the quote, however “This is why there’s a certain ragged edge inherent in the DNA of digitized sounds.” is absolutely false (Ignorance 5! During period!) . Quantization errors do not cause any edges, they simply cause *noise*. Almost of the same character as the noise inherent to tapes or vinyl, and especially after dithering. The only thing is, with 16 bits the noise floor is much lower than in analog media. Or to put it the other way around, 16 bit digital has greater signal-to-noise ratio (cca. 96 dB) compared to vinyl (cca. 70 dB). Which means that vinyl, for instance, is equivalent of 10, 12 bit digital. Yes. Vinyl is of lower resolution than CD, according to definition given in this article. So to reiterate: what bit-depth defines is DYNAMIC RANGE. Nothing else. There is no accumulation of any kind resulting in any kind of raggedness. Period ends. Current result Ignorance 5 – Knowledge, still struggling, only 2. Not “appear”. WILL BE. If sampling is done according to Nyquist theorem, i.e. correct frequency, the reconstructed signal will be absolutely the same as the source. It will not “appear” the same. See for yourself whether they will null. So, Knowledge catches a lucky break and slips in one for determination of frequency, but Ignorance kicks back with vengeance on “appearence of authenticity”. The result is 6 – 3. One sided game. With “more interpolation points” you mean “higher sampling frequency”? It is unnecesary and possibly even undesirable because of aliasing. But, fortunately the “Natural smoothness” in band-limited signal will be perfectly reconstructed (via reconstruction filter in ADA converter) and NO infinite frequency is necessary: Nyquist theorem says exactly what sampling frequency is required for any signal or signal band. For failing to recognize the danger of aliasing Ignorance scores yet another, and for continuous lack of the Nyquist theorem wisdom Ignorance is awarded with additional three points. Game over: Ignorance wins with 10 to 3 against Knowledge. A sad game, this one. Yes, but bear in mind that this score awards 10 points to Serious Ignorance on Digital Audio against measly three lucky strikes of Basic Knowledge of Sampling Theorem guys. Now, after all of this, I feel I should apologize for the venomus tone of my response, especially because I actually AGREE with most of the points given in the article, but in chapter “Why digital can’t match analog: the truth about binary” the truth itself was a scarcity and lack of it shoud not have gone unpunished.